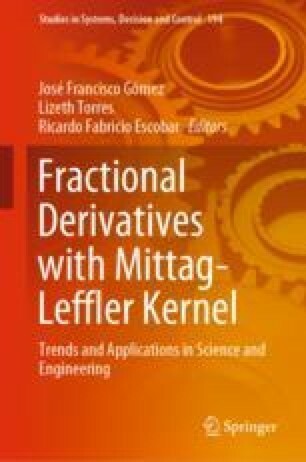 In this chapter, a meta-heuristic optimization algorithm, called cuckoo search algorithm is applied to determine the optimal parameters of the fractional Gompertz model via Liouville–Caputo and Atangana–Baleanu–Caputo fractional derivatives. The numerical solutions of the proposed models were obtained using the Adams method. The proposed methodology is tested on epidemiological examples. In the interval considered, the fractional models had the best fit for the epidemiological data considered. The effectiveness of the methodology is shown by a comparison with the classical models. A comparison between the fractional models and the classical models was carried out to show the effectiveness of our methodology. Jesús Emmanuel Solís Pérez acknowledges the support provided by CONACyT through the assignment doctoral fellowship. José Francisco Gómez Aguilar acknowledges the support provided by CONACyT: Cátedras CONACyT para jóvenes investigadores 2014. José Francisco Gómez Aguilar and Ricardo Fabricio Escobar Jiménez acknowledges the support provided by SNI-CONACyT.